MOON TOWNSHIP — A combination of hustle plays, gritty steals, fearlessness and several more heart-filled categories are the defining factors of the Robert Morris women’s basketball squad, the lone undefeated team in the Northeast Conference. 55.9 points per game is the average allowed by the Colonials, a statistic that places RMU at 24th in the nation. 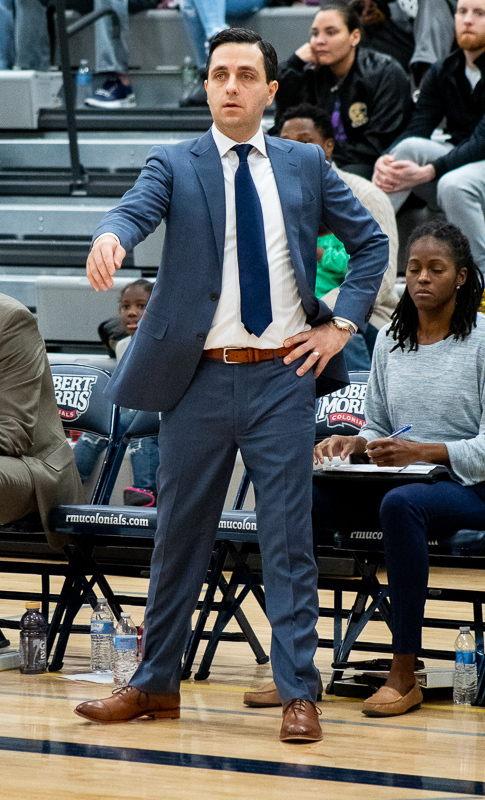 In conference play alone, the tenacious and unyielding Robert Morris defense has allowed just 50.8 points per game and outscored their eight conference opponents this season by an average of 19.5 points per game. With two NCAA tournament appearances and two NEC regular season titles in the last three years, head coach Charlie Buscaglia and his team have a permanent target placed upon their backs as the elite of the Northeast Conference. But Buscaglia says there are no teams marked on the calendar, that the focus has simply been to get better every single day. 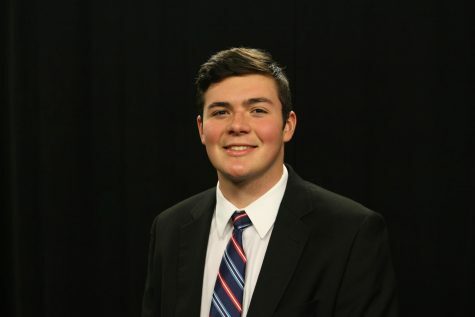 “It’s just an everyday commitment to you know coming to practice and defending hard, getting in the video room, seeing what we are doing well, what we are not doing well. Just the attitude of wanting to get a little better everyday,” said Buscaglia. The journey to this point in the season has been unexpected for the Colonials. After a 3-8 start to the season in non-conference play, RMU lost one of their star rookies from the year before in Megan Callahan. Callahan was the Colonials’ best three-point shooter, ending her season short with a 42.1% shooting percentage from long range while she averaged 7.6 points per game. Freshman Isabella Posset came in to replace Callahan in the starting lineup and RMU never seemed to skip a beat as they leaped right into conference play. For Robert Morris, the mindset was to forget the games that had already happened, and to do everything in their power to go win the next game and be better than the one before. The culture and the mindset of Buscaglia’s team has made the Colonials a nightmare for every team in the NEC. For the second straight season, the Colonials opened up the season 6-0. This record seems commonplace for the Charlie Buscaglia-era Colonials, but had been done just two times before Buscaglia took the helm. 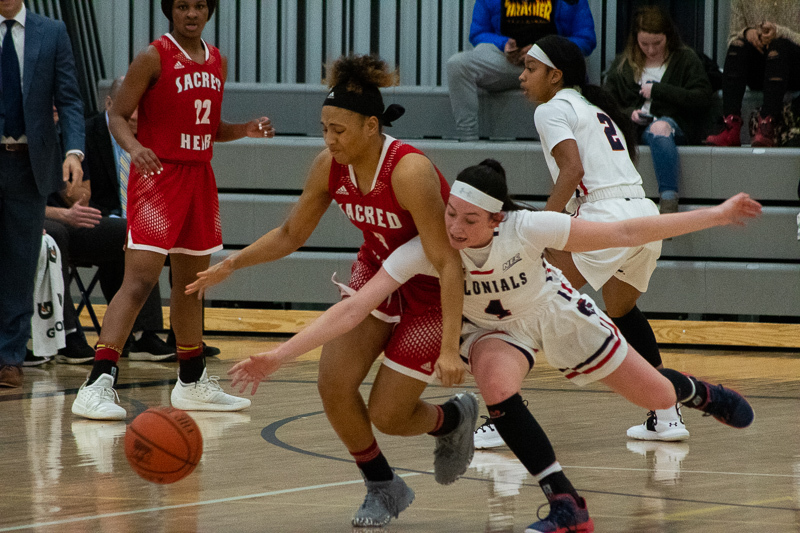 Now at 8-0, the Colonials have a two-game lead and the tiebreaker over second-place Sacred Heart after handling the Pioneers 64-46, in what at the time was a highly anticipated conference showdown. “A lot of times we can get caught up in who we are playing and what they do well. But we need to worry about what we are doing well and focus on what we can do better as a team,” said Buscaglia. Robert Morris heads into the weekend with just one game against Fairleigh Dickinson compared to the usual two-game weekend spread. Robert Morris will attempt to go 9-0 for the second straight season, to tie their winning streak to open NEC play last season. With just one game being played this weekend, coach Buscaglia said the team is thankful for the break in the heart of the conference season. “It’s nice to know you have that time of the season where you have a one-game weekend because we have to sacrifice so much of our weekends. Our Sundays especially, where Sundays for most people, living in America at least is a time for family and relaxation, a day off. But for us, a very busy day for us all season,” said Buscaglia. Fairleigh Dickinson (6-13, 3-5 NEC) hosts Robert Morris this weekend, the Knights lost 71-49 in the NEC opener at the beginning of January, and have not beaten the Colonials since 2016. The game will take place on Saturday, Feb. 2 at 2:00 p.m.